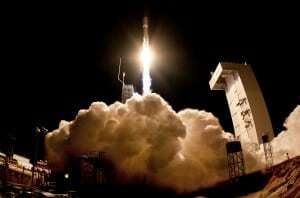 [Via Satellite 12-24-13] NASA‘s Launch Services Program has chosen United Launch Alliance’s (ULA’s) Atlas 5 vehicle to launch the Interior Exploration using Seismic Investigations, Geodesy and Heat Transport (InSight) mission, which will place a geophysical lander on the surface of Mars. The InSight mission is scheduled to launch in 2016 from Space Launch Complex 3E at Vandenberg Air Force Base in California. InSight is a surface explorer designed to analyze and reveal the processes that shaped the evolution of the four rocky planets of the inner solar system, including Earth. This mission will launch aboard an Atlas 5 401 Evolved Expendable Launch Vehicle (EELV), with a four-meter diameter payload fairing. ULA’s Atlas 5 is the only launch vehicle certified by NASA to fly the nation’s largest and most complex space exploration missions.